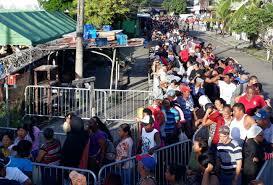 Thousands of people were in line on Wednesday, December 5 at the 125 Naviferias (Christmas Fairs) organized by the Institute of Agricultural Marketing (IMA) across the country to get a ticket to purchase one of 260,000 hams at $8. Some had camped out overnight for the 7 a.m. opening. 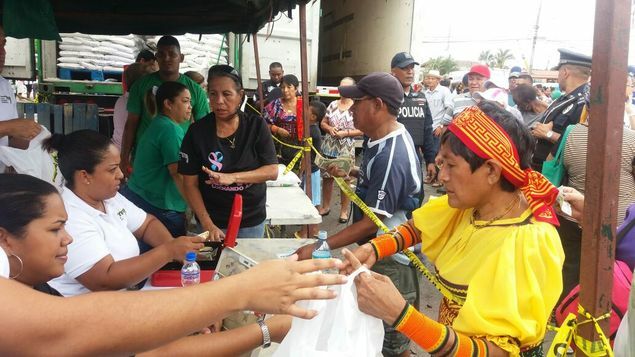 and some locations in Panama City had sold their quota by 10 a.m.
Fairs started simultaneously in the provinces of Darién, Colón, Coclé, Veraguas, Chiriquí, Panamá Oeste and Herrera. On Thursday, December 6 and Friday, December 7, the fairs will open in Las Tablas, Santiago, La Pintada, Bugaba, Altos del Lago in Colón, Santa Fe de Darién, Vista Alegre de Capira, and in the capital in Las Cumbres; in Santa Marta San Miguelito and Silos Panama, Don Bosco and Cabras. The sale of hams in the Naviferias will be extended until December 22. Raúl Ávila, director of the IMA, warned that tickets will be awarded to adults and not to minors, below 16 years. Ávila said that people who carry their children in their arms, will not have privileges of special lines, nor will they be given tickets before the rest of the people in line. In addition to the sale of hams, the IMA has other foods available at low cost like the 20-pound bag of rice, oils, grains, pasta, sugar, salt, etc. 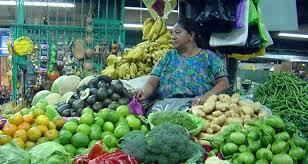 flours, canned tuna, sausages, and ham, among other products at low costs.